I've watched these videos countless times. I do it because each viewing tends to shed light on whatever problem I'm facing at the time. 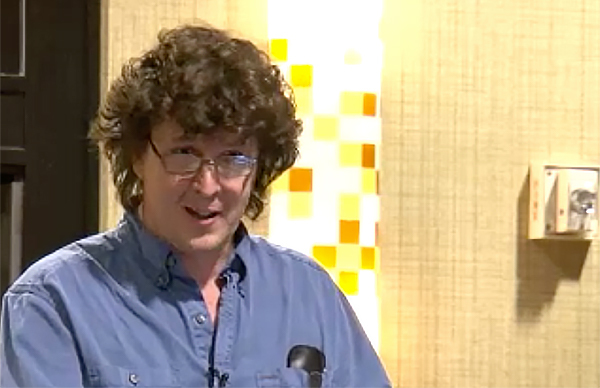 Alan Kay provides perspective on systems building, Bret Victor on computer-assisted thought, Gerald Sussman on software engineering, Jonathan Blow on the psychology of interaction, and Rich Hickey on coding. These lectures don't have all the answers, but I think they point us in interesting directions! 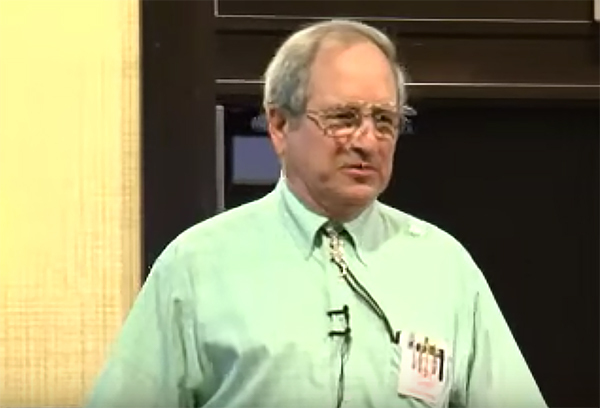 Gerald Sussman — We Really Don't Know How to Compute! Presented at Strange Loop in 2011. Sussman points out that in order for the future to happen, we'll eventually be buying processors by the bushel and laying them down like concrete to create smart walls… but we have no idea how to write software for computers like that. In particular, biological systems take advantage of that structure to achieve latency and self-organization that we don't know how to do with software yet. He also points out that a salamander will grow additional elbows if you rearrange the segments of its legs, but we don't have anything like in today's software. The bulk of the talk is about “minimizing the cost of changing decisions we've made” (i.e. making software easier to repurpose). We need to consider as many ways as possible to do this, he says, and at 25:10, he presents propagators as one possibility. Propagators are a massively parallel form of computation that he worked on with Stallman (who wrote the original version) and his students. You have a graph of nodes that perform computation, connected by edges that contain information. The edges are the inputs and outputs for the nodes. The information on an edge can be a specific value, or a range of values in the form of an interval or set of constraints. Information can only be updated to increase its specificity (e.g. shrink an interval, or add constraints). The premises underlying any mutation are given names, and the names are passed along with the mutations, so that if a conflict arises (e.g. an edge is given a value that's disjoint from its previous value), all the data associated with one or more conflicting premises can be thrown out. I struggled with how to make this idea work for interactive applications that require time-varying answers until I realized that the current time and input state could be used as premises. However, I still struggle with how throwing out premises could be made massively parallel. The idea is that you could create many ways of computing the same value, of varying accuracy and performance, execute all of them in parallel (remember you bought processors by the bushel), and let the propagator network resolve to the best possible answer. A separate premise could be assigned to each method of computing the value, so that if one or more turn out to be contradictory, their results can be thrown out. Synchronization isn't a problem because the only mutation of information that's allowed is to make a value more precise, so the order of mutations doesn't affect the final result. Building Problem Solvers, a book that's “pretty much about truth maintenance systems” (systems that track what they know and why they know it, like propagators can) by Sussman's former students, Kenneth Forbus and Johan De Kleer. When he refers to Sussman's presentation, he's probably means the talk I summarized above, which I didn't realize until just before writing this footnote. Hickey defines these at 1:56 and 31:36. He calls something “easy” if it is near at hand, either physically (we've already obtained it) or mentally (we've already learned it). In the latter case, he uses “familiar” as a synonym. The opposite of “easy” is “hard”. Something is simple if it is not interleaved/braided with anything else. A thing that has only one role is simple. Something is complex if it is interleaved or braided. In order to understand a complex thing, you must also understand everything that's interleaved in it. The act of making a simple thing complex is called “complecting”. On the other hand, if you place things together without interleaving them, you have composed them. Armed with this definition of “simple”, Hickey invokes Dijkstra, who said “simplicity is a prerequisite for reliability.” Hickey contends that reliabile software for the user is far more valuable than software that's easy to write. Hence, we should be willing to invest more in making our software simpler than we tend to. While you're at it, you can see the full “simplicity toolkit” at 43:42. State complects value and time. “You don't have the ability to get a value independent of time.” State complects everything that touches it. refs are simpler because they provide abstractions of time, and have ways of getting immutable values out. In that way, they're closer to composing value and time than complecting them. Objects complect state, identity, and value. Syntax complects meaning and order. Contrast syntax with data, which contains meaning but says nothing about how you must operate on it. 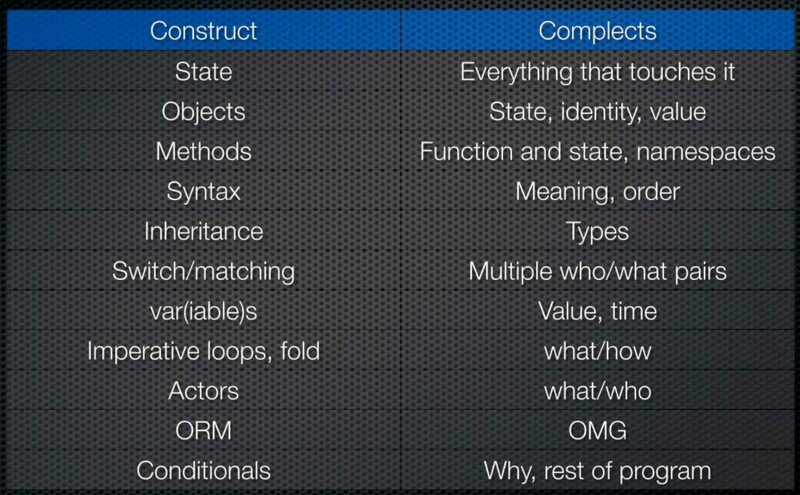 Inheritance complects types (by definition). Imperative loops and fold complect what's being done with how it's done. Actors complect what's being done with who does it. When is the work accomplished? Where is the work accomplished? Why is the work done in a particular way (policy selection)? He also provided some of the best software design advice I've ever received: When you're trying to create something simple, ask yourself who, what, where, when, why, and how? The fewer of those questions that have fixed answers, the simpler the end result. For example, when you design an operation, your goal is to answer what is being accomplished without complecting that answer with how is it accomplished. Usually that means writing functions that operate on typeclasses, which allows the what to delegate the how away. I remember hearing that Hickey simplified fold in the reducers API, but I haven't looked into it. Hickey uses fold as an example of the incidental complexity you might end up with if you're not careful. Ideally, fold's caller could specify the order in which the values are reduced, where the computation occurs, etc, but fold complects how the values are reduced with the simpler job of reducing several values to just one.